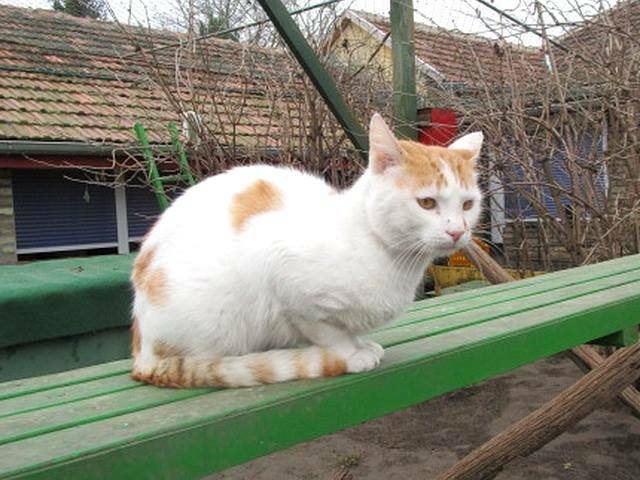 Serbia: Felix Shelter – Liam’s Story. Liam’s life story is kind of sad, like the stories of stray cats usually are. He was born on the streets, probably as an unwanted baby kitten to an unwanted mother. He was forced to fend for himself and somehow managed to survive long enough to learn how to find scraps of food and how to flee from a potential danger. He soon found out that he could use his inner sweetness and get at least one meal a day plus some petting or cuddling from cat-loving humans and he began to live in front of a boutique, where the employees took care of him the best they could. They even let him inside every now and then to warm up little. However, his more or less carefree life came to an end shortly and his entire world turned upside down when the boutique he considered to be his home had to move to another location. 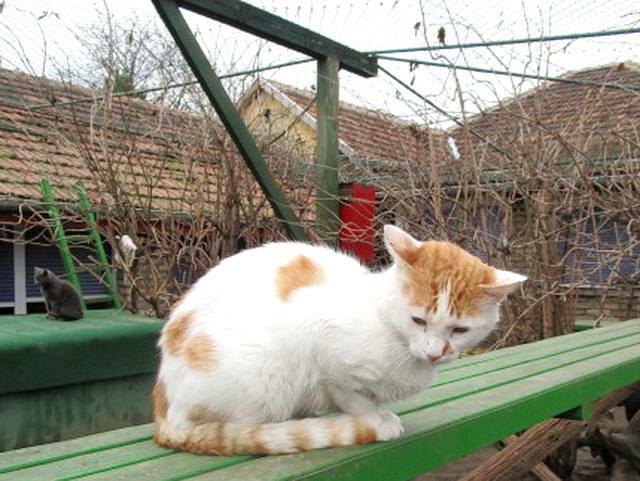 He was left behind and he was spending most of his time just sitting quietly in front of the locked door, expecting to be fed and petted, waiting day after day for friends that would never come. Instead some unknown humans were shouting at him and wanting him to leave, even though he had nowhere to go. 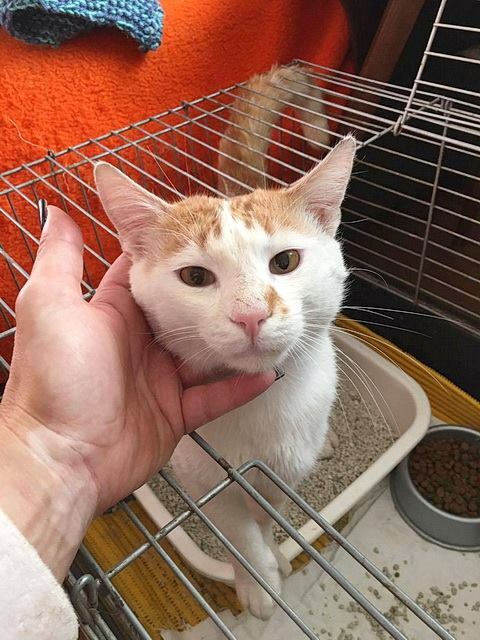 When we heard of him, we knew that if we didn’t take him in, no one would, so he was brought to my empty apartment in Belgrade until I came to pick up him up along with Arthur, and after a trip of 200 km, we arrived at the shelter together. 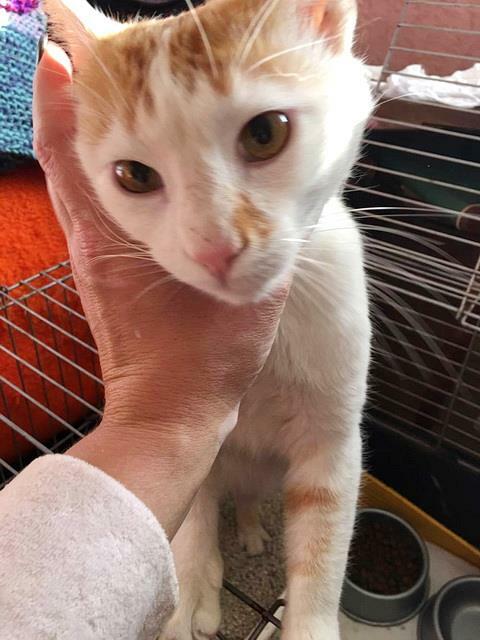 Liam is neutered, FIV and FeLV negative, dewormed and deflead, completely healthy and he usually spends his days in the yard when the weather is nice, although he prefers to rest on the warm radiators and eat like a horse. Hopefully now he has a chance to make up for everything he has missed so far.